As a measure to help improve safety in the medical setting, The Joint Commission urges patients and their families to become more involved and informed in the health care that they receive. Patients are encouraged to speak up if they have questions or concerns, pay attention to make sure they’re receiving the precise treatment and medication that they need, and to be knowledgeable about their own medical conditions to make informed decisions. 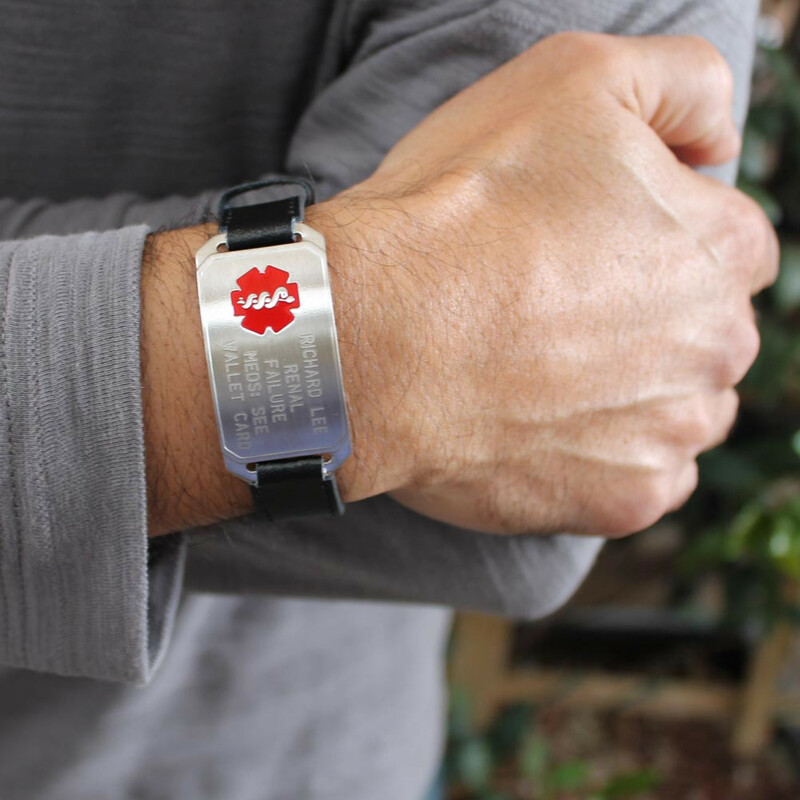 Medical identification bracelets and necklaces are recognized by the Journal of Patient Safety as a quick way to communicate important medical information to emergency responders and medical professionals. Emergency responders are trained to look for medical IDs around a patient’s neck or wrist and wearing one can aid in receiving a timely and accurate diagnosis, thus helping reduce medical errors. Common reasons to wear a medical ID include allergies, diabetes, heart conditions, epilepsy, and taking certain medications such as blood thinners. Here is a list of medical conditions that require wearing a medical ID. “I am 46 years old and I have a lot of serious medical conditions, too many to write about all of them. My cardiologist, endocrinologist, and family doctor, all recommended that I get a medical ID bracelet. I took their advice, and I’m so glad that I did because the bracelet saved my life!” says Cherry, an American Medical ID customer from Tennessee. When planning a hospital visit, patients can bring a list of their medical conditions, allergies, and medications. During a hospital stay practice and encourage proper handwashing to prevent the spread of infections. Some patients bring disinfected wipes, hand sanitizer, and their own beddings such as pillowcases when staying in the hospital. Outside of the hospital, be prepared for an emergency by having a plan. Make important emergency contact numbers easily visible for family members for example or consider having a medical alert system. Patients taking medications should ensure that they fully understand how to take them and be aware of their side-effects or risks of interaction with other drugs. What steps do you take to increase your or a loved one’s overall safety as a patient? Share your tips or experience via comments below to help raise awareness. awareness month, health tips, medical ID, medical ID bracelet, patient safety. Bookmark.